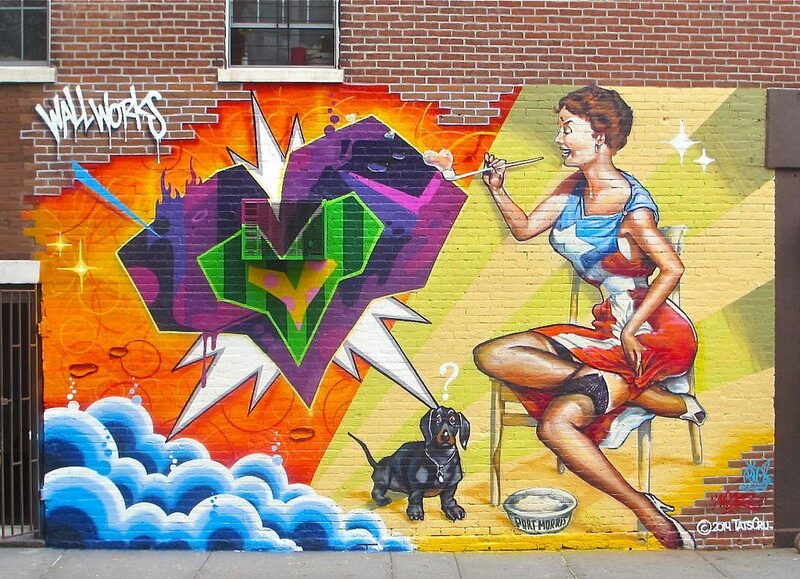 TATS CRU is a group of New York City-based professional muralists whose work in aerosol has transformed graffiti into a commercially beneficial art form. Their innovative advertising and design services are the ideal choice for businesses wishing to reach contemporary urban consumers. TATS CRU’s custom aerosol services are available to businesses, corporations, and individual consumers in major metropolitan areas throughout the world—making them a leader in the implementation of creative marketing strategies. Their elaborate, colorful and attention grabbing custom works of art stand out and are noticed by all. In the mid ’80s three teenagers began their artistic careers by creating subway graffiti. What began as an adolescent hobby and recognition tactic has evolved into a powerful, expressively iconic style that has brought TATS CRU to the forefront of the advertising mural industry. For over two decades TATS CRU has spearheaded the battle to change people’s perception of graffiti as an art through their respected work. 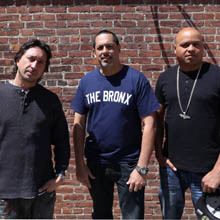 In addition to the recognition they receive throughout the world as leaders in mural advertising and art, proof of TATS CRU’s success and the acceptance of graffiti as an art form can be found in their murals that adorn the walls of numerous hospitals, museums, schools, businesses, and New York City institutions.